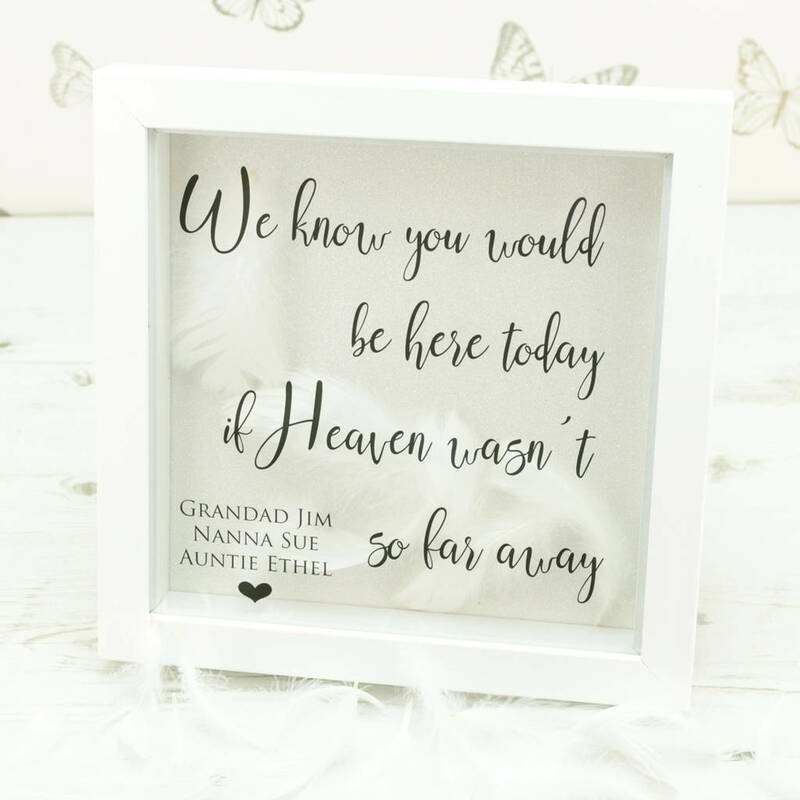 A twinkly, personalised remembrance wedding frame. 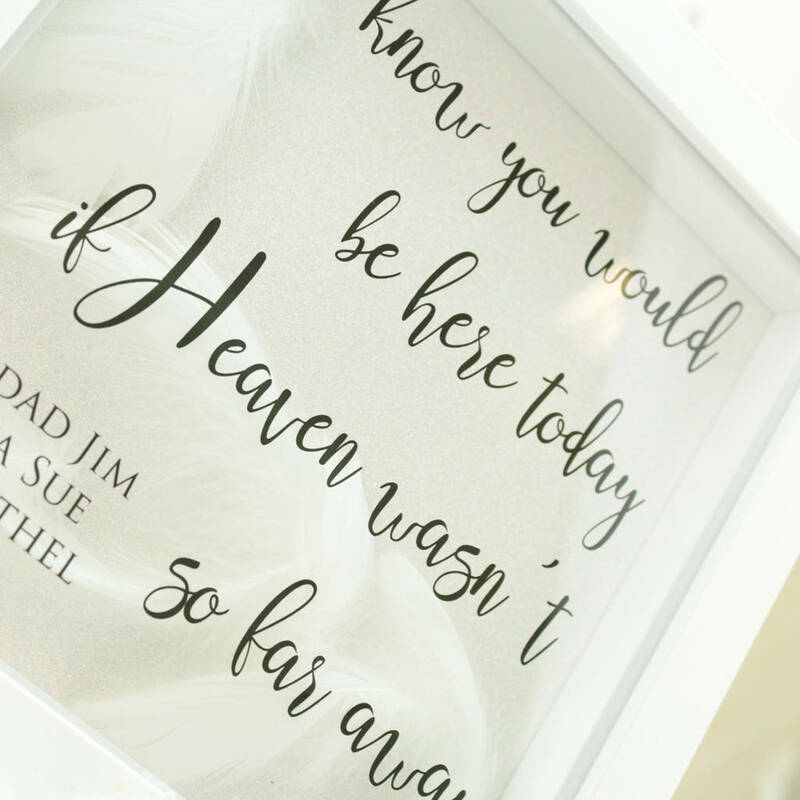 A nice way to remember loved ones who cannot be there on your big day. 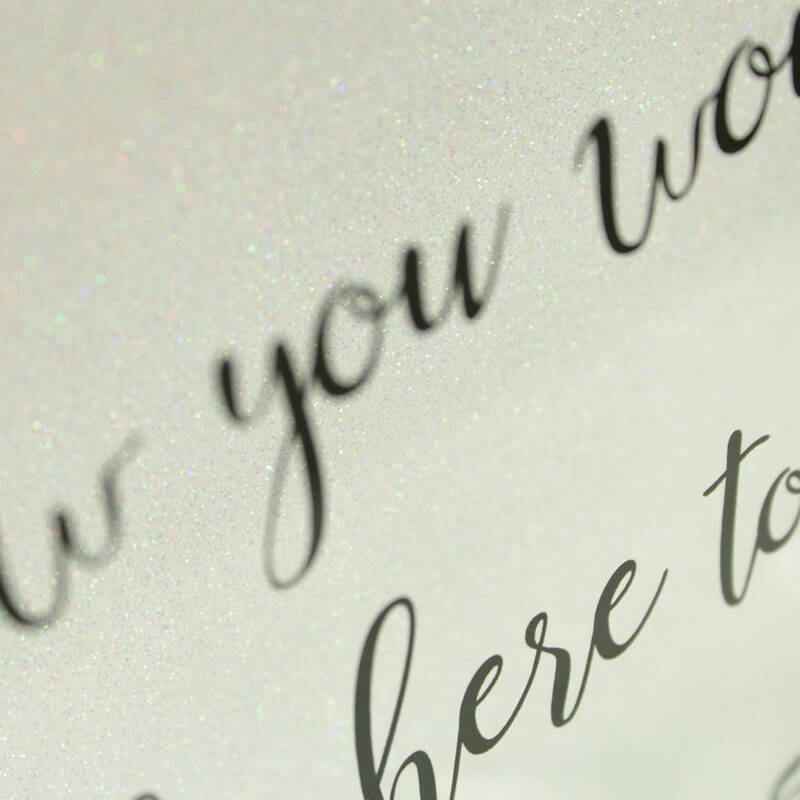 The wording is printed directly onto the reverse of the perspex for durability and is backed with a white glitter card to add a touch of sparkle and a beautiful 3D effect. White feathers are added to the space inside the frame. 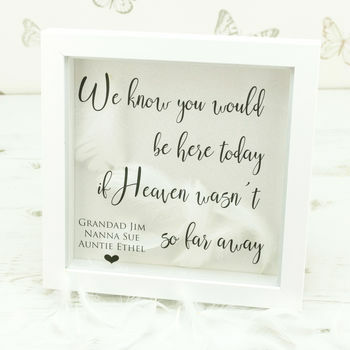 The frames are made from a lightweight polcore material, are super chunky at 3cm and can either be hung on the wall or free standing.